One of the primary missions of Rotary International is to promote peace and goodwill throughout the world through our focus on Service Above Self. 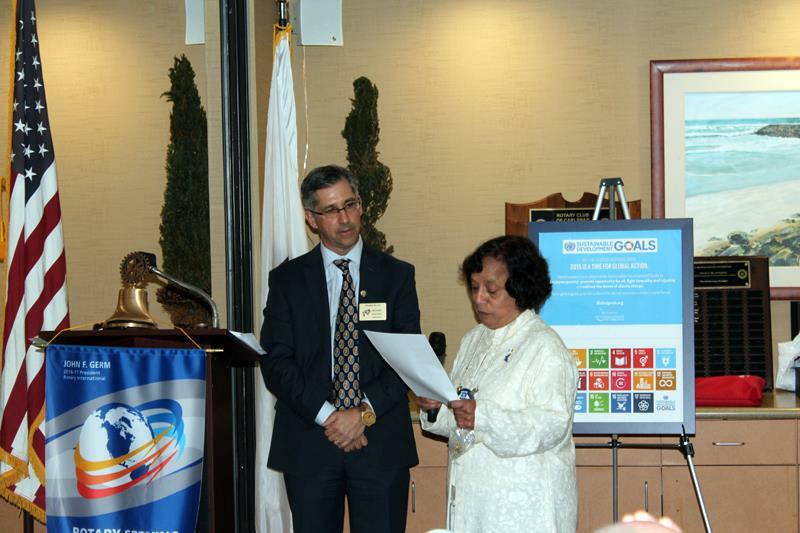 Renuka Sethi is Peace Chair of the Rotary Club of Carlsbad and a member of District 5340 Pathways to Peace Committee. 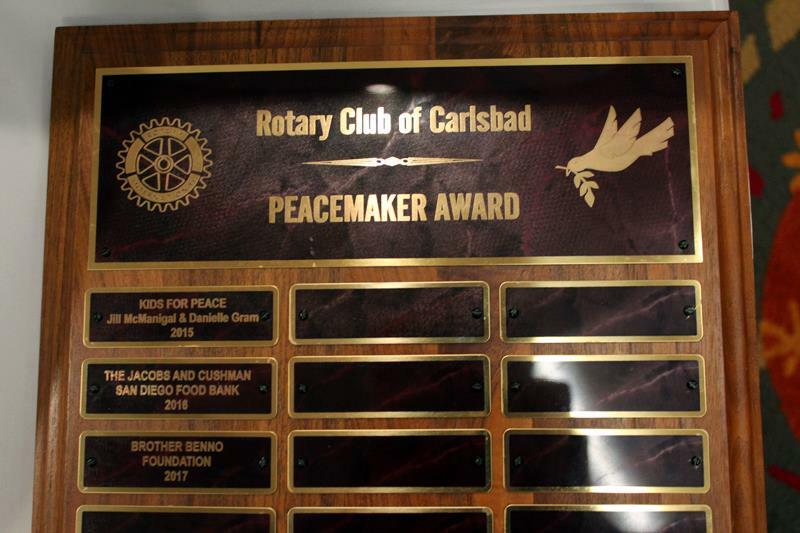 The Peacemaker Award is designed to honor members of the community who have made a significant difference in promoting tolerance, understanding, conflict resolution and peace making through their contributions and efforts for Peace Building. 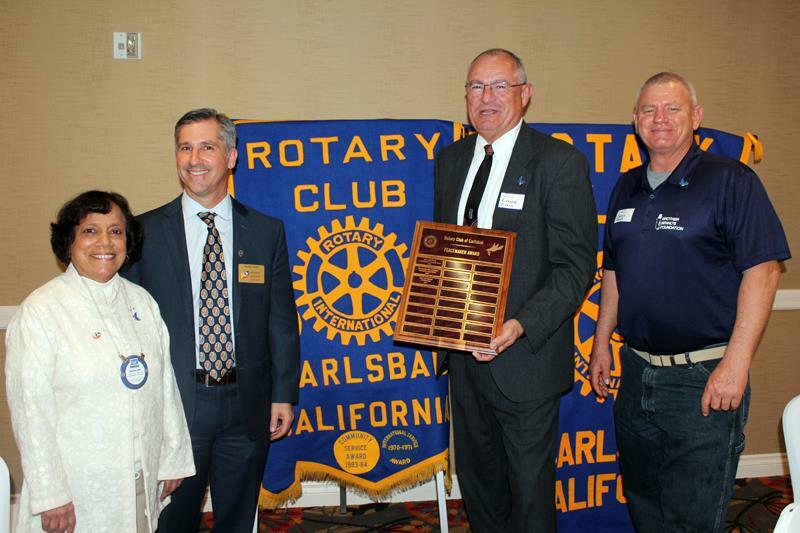 This is the third year that Carlsbad Rotary has presented a Peace Award. 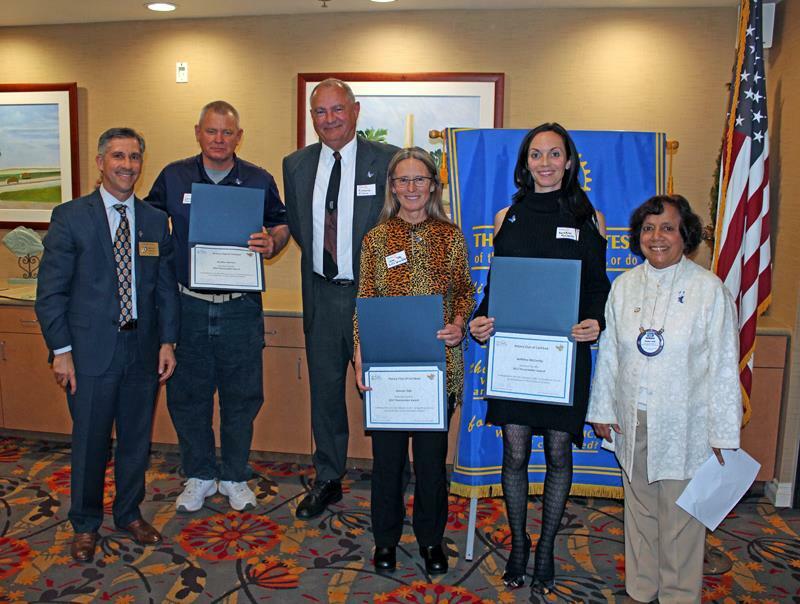 A committee of 5 was to set the criteria for the award: Frank Silva, Joe Bear, Kevin Clark, Jeff Schafer and Renuka Sethi. Frank Silva introduced the first of this year’s nominees: Dennis Pinnick and Richard Giroux of Brother Benno’s, an organization which is committed to serving the poor and homeless in San Diego North County since 1983. 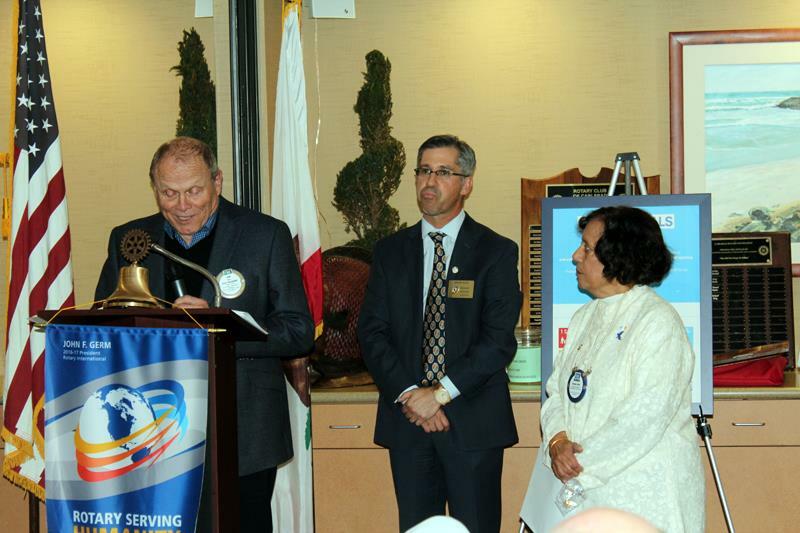 Several Carlsbad Rotary members help to serve breakfast at Brother Benno’s each month. Joe Bear then praised Doreen Tate, chief nurse and co-founder of Mercy Care Uganda, Medical Ministry, whose mission and vision is to give affordable and easy accessible healthcare to the people in villages outside Masaka, Uganda. 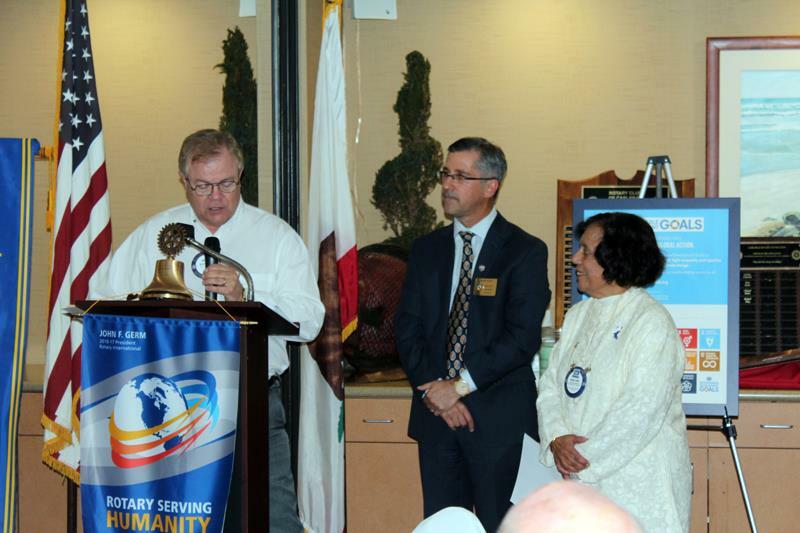 Rotary of Carlsbad has provided funds to support these efforts. Kevin Clark lauded about Beth Ann McCarthy’s program on self-love designed to teach children to truly believe in and value themselves. She has worked on this program designed to boost confidence and self-esteem and decrease the amount of bullying. She realized that this topic should be talked about in pre-school and kindergarten. Her hopes are to start a movement so that children can feel confident, valued, safe and protected from the start. Violetta played a special piano piece while the judges were deliberating the choice for this year’s award. This year’s Peacemaker Award went to Brother Benno’s Foundation. Dennis Pinnick and Richard Giroux, Member of the Brother Benno’s board then each spoke briefly about the organization and their involvement.